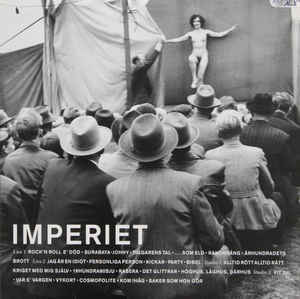 2LP - IMPERIET - STUDIO/LIVE 2LP Including promotional postcard + 5-page interview! Scarce double album, printed inner sleeves. This copy comes with a promotional postcard, + a 5-page interview (attached to a MISTLUR front sheet) by Håkan Lagher! The sleeve in EX to EX-, small seam split.